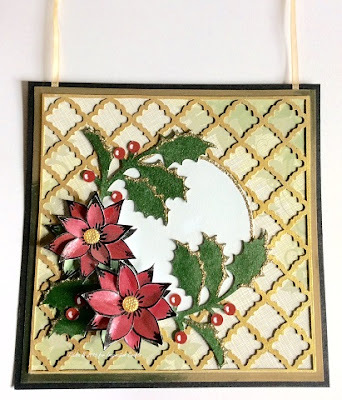 Good morning, it's the second last weekend before Christmas & if you're still in the midst of card making, or looking for gift ideas, why not tune into the Imagination Crafts' shows on the Hochanda craft channel tomorrow, Sunday December 13, at 10am & 2pm? There will be another stencils special offer, Sparkle Medium & Starlights sets & MDF items. Sue has prepared more demos, including two brand new ones. 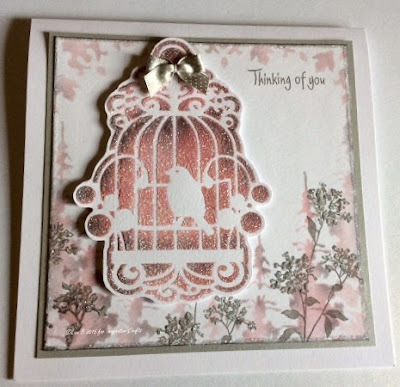 Many thanks to Lisa B for making the fab card samples in this blog post. Look out for them on Sunday. Have a great, crafty weekend. 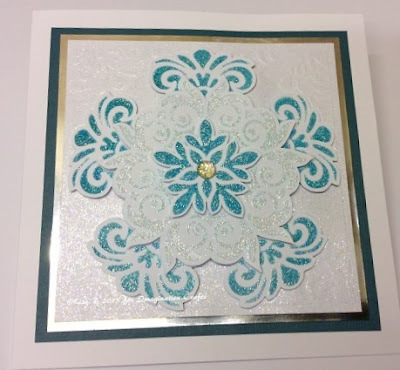 Just over three weeks since the last time, Imagination Crafts will be back on Hochanda, on Sunday December 13, at 10am & 2pm. Sue will be demonstrating new techniques, including stamping with Starlights paints. There will be another stencils special offer; 10 stencils for only £9.99 + P&P, as well as Sparkle Medium, Starlights & MDF items. Many thanks to Lisa B for making the lovely cards in this post, look out for them in the Hochanda shows. 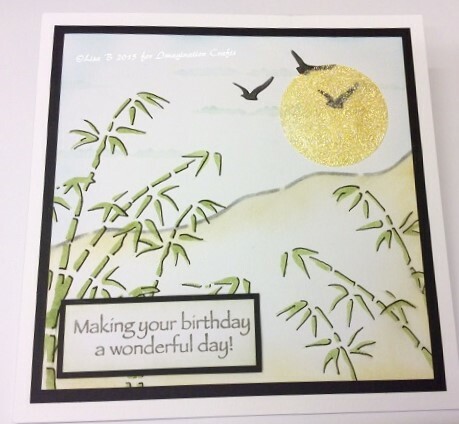 There will be another blog post tomorrow, with more of Lisa's card samples. Once again, the Imagination shows on Hochanda will be on Sunday, December 13, at 10am & 2pm. We hope you'll be able to tune in at some point on Sunday, or can record the shows if not. Good evening, I hope everyone had a nice weekend. We wanted to do a quick blog post to thank everyone for making our three shows on Hochanda last Saturday such a big success. The feedback has been fantastic & we're delighted that you loved Sue's demos & had a great time buying some of the available products. 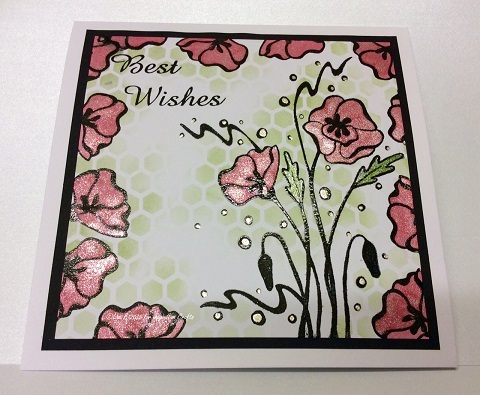 We hope to have dates for the next Hochanda shows soon & we will of course, let you know when they will be. 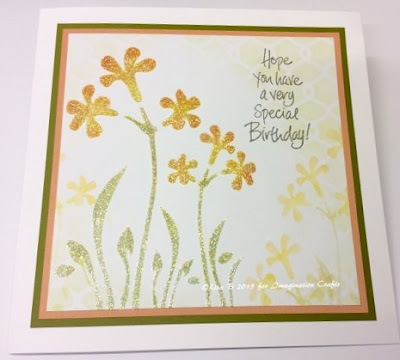 We always love to see what you create with Imagination products, so please feel free to share your projects on our Facebook page & our new Facebook page, devoted to Starlight Metallic paints. 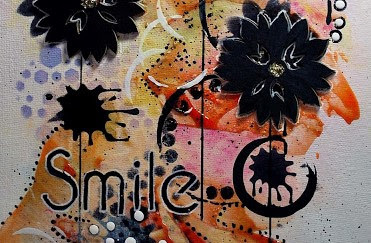 Until next time, have a great week & happy crafting. 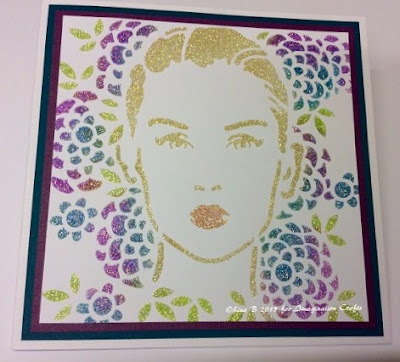 Imagination Crafts Back On Hochanda! 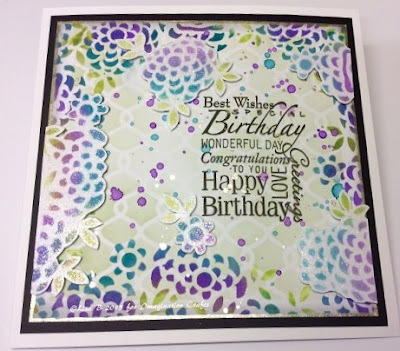 Good morning, we're delighted to be back on the new craft channel, Hochanda, tomorrow, Saturday, November 21 for three shows; at 10am, 1pm & 5pm. 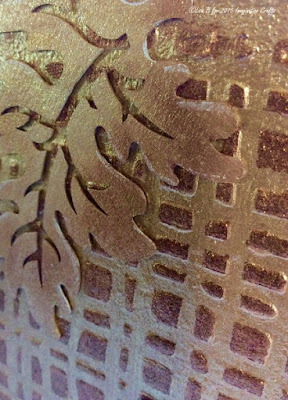 There will be a great variety of Imagination products available to buy, including Starlights Metallic Paints, Sparkle Medium, MDF paint, Imagination Crackle & stencils. Sue has planned lots of demoes & she's hoping to do as many as possible over the three hour-long shows. 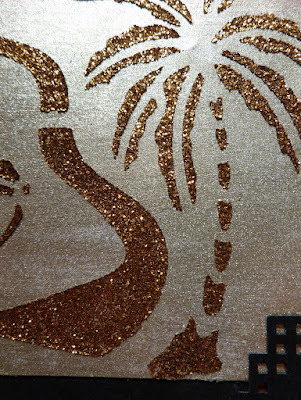 There will be a special offer on TEN Imagination stencils for around £10 (+P&P). 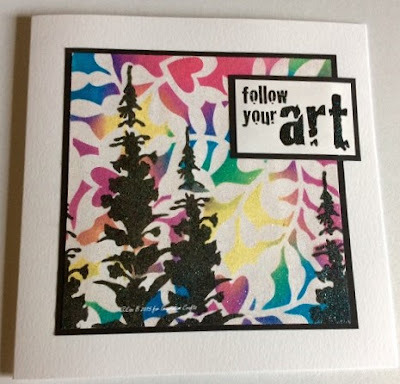 Thanks to Lisa B for making the samples in this blog post. We hope you'll be able to tune in at some point on Saturday, or can record the shows if not. Good morning, sorry the blog has been quiet recently, there's a lot been happening behind the scenes; new products being tested, TV shows being planned, samples being made..... We hope to be able to share more information with you all soon. 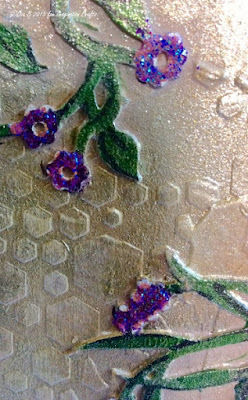 In the meantime, we're at the NEC in Birmingham for the Stitching, Sewing & HobbyCrafts Christmas show, from tomorrow, November 5 to Sunday, November 8. You will find us on stand A16. Very excitingly, we're going to have not one, not two, but THREE demonstrators, working the entire four days of the show, although, Harvey might allow them the occasional break. 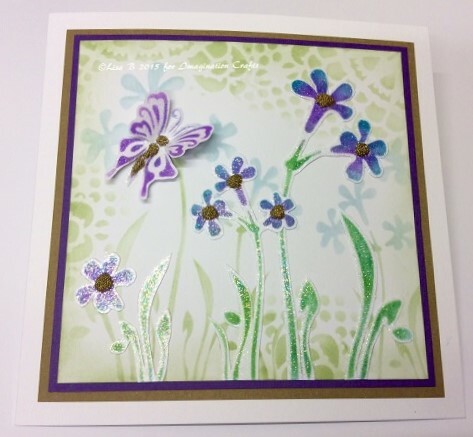 :-) There will be Sue of course & alongside her will be Lisa B of Lisa B Designs & Jean of BJ Crafts. 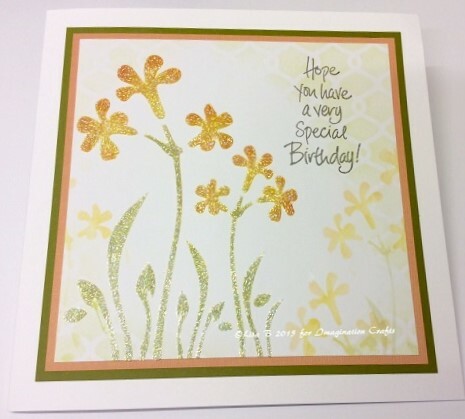 They will be demoing different Imagination Crafts products, from Starlights to Sparkle Medium to stencils & paints & stamps, etc., etc. There will be lots of new products, including these fab stands & tree decorations. 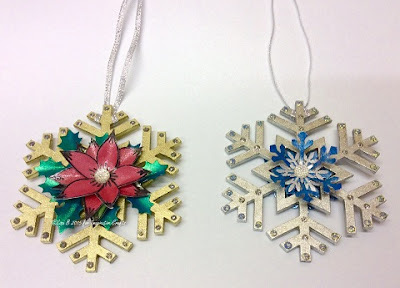 They're MDF, light but very sturdy & you can decorate them however you like. 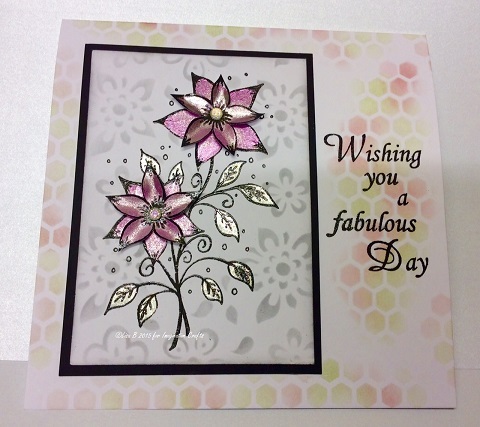 All of the samples in this blog post were made by Lisa B, using Starlights paints & the Floral Collage stamp range she designed for Imagination Crafts. They will be on the stand at the NEC, so you can see how gorgeous the Starlights paints look. Many thanks to Lisa for making these gorgeous samples. For those of you not able to attend, we will do our best to share photos from the stand on the Imagination Crafts Facebook page. Once the NEC show is over, it will be time for us to begin final preparations for our next TV shows on the new craft channel, Hochanda. They're happening over the weekend of November 21/22, so mark the dates on your calendars & keep an eye on the blog & on the Facebook page for updates. That's it for now. Enjoy the rest of your week & happy crafting. Today's The Day! 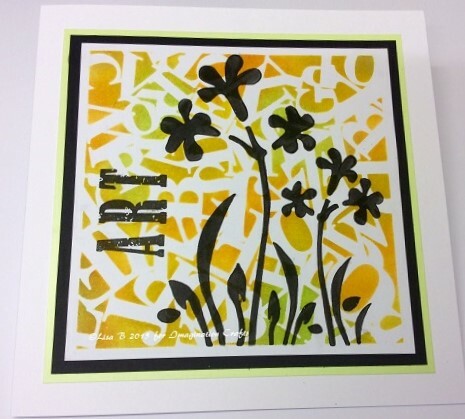 Imagination Crafts on Hochanda! Well, it's finally here. Imagination Crafts makes its debut on the new craft channel, Hochanda. It's been a crazy few weeks of demo planning, making of samples, sorting & packing of stock & now there's little more that can be done. Sue & Harvey will be in the studio this morning doing the final preparations; making sure that all the samples are displayed to their best & that everything is ready to go at 1pm. Sue will have her demos practiced to the nth degree, with all her step by steps present & correct. 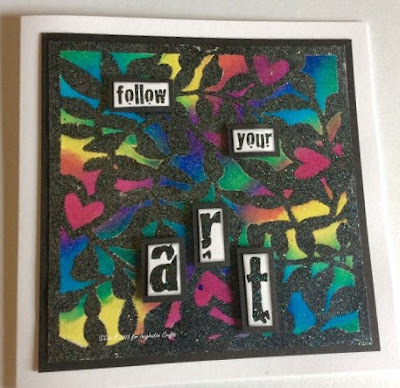 Imagination Crafts' Pinterest boards, so if you can't see them properly on your TV/computer screen during the shows, don't worry. Thank you for all the positive comments & best wishes regarding this big step for our business. We are very excited & a little nervous, but sometimes you've got to take a chance. We really hope you'll be able to tune in at 1pm & 5pm today. 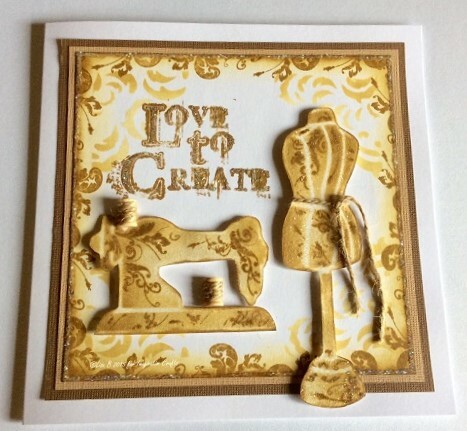 There will be a live commentary on the Imagination Crafts' Facebook page too. 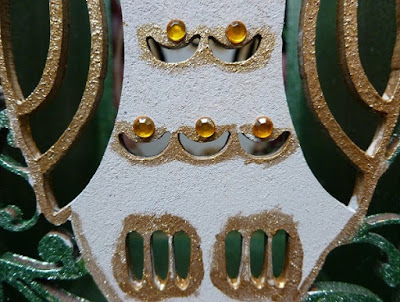 Thanks for visiting the blog & have a great Thursday. 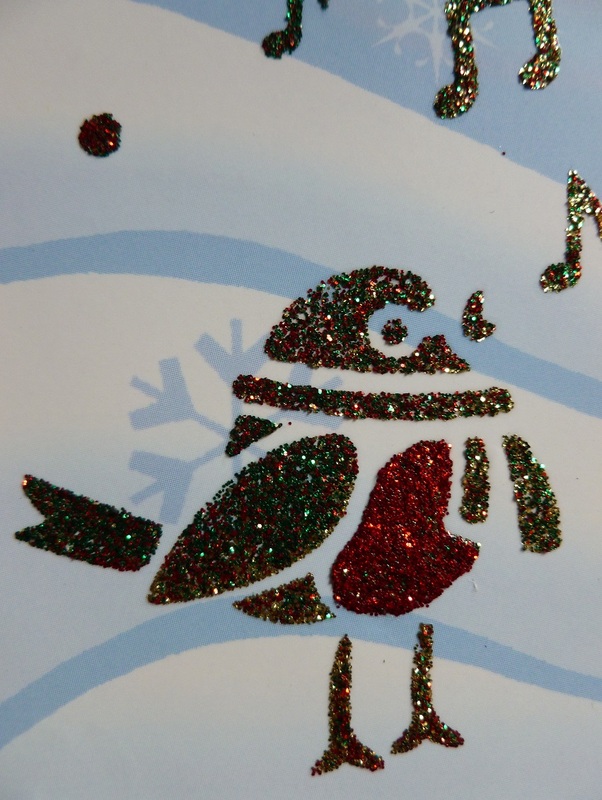 Featuring Starlights Metallic Paints, Sparkle Medium & Christmas stencils. You can visit Eileen's blog to see all of this canvas & more of her samples. 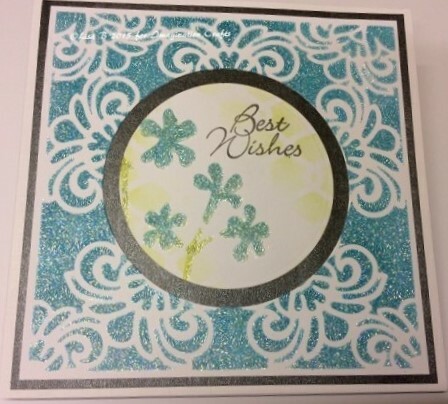 Hochanda have said that the retail side of the website will launch at midday tomorrow, Wednesday, September 9 - you can read more about that HERE - and we're keeping our fingers crossed it will all be running smoothly on Thursday. 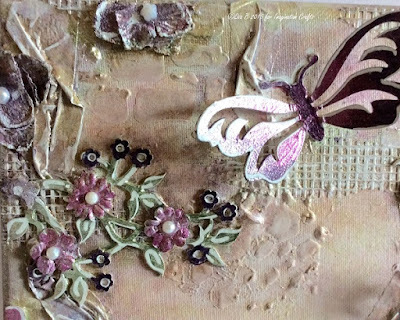 Follow the live commentary of the Imagination Crafts' shows on our Facebook page tomorrow. 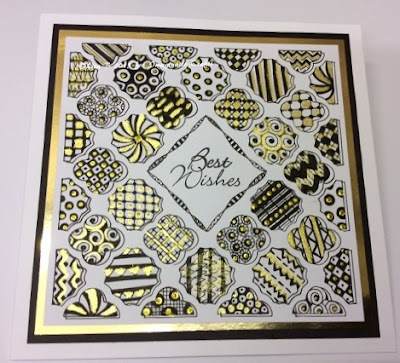 Hochanda have said that the retail side of the website will launch at midday today, Wednesday, September 9 - you can read more about that HERE - and we're keeping our fingers crossed it will all be running smoothly on Thursday. We'll share more sneak peeks tomorrow, both here & on our Facebook page. 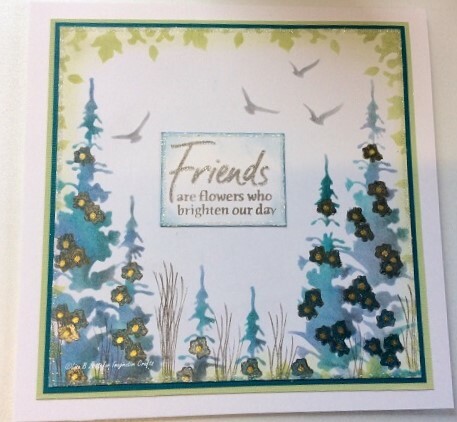 Hochanda have said that the retail side of the website will launch at midday on Wednesday, September 9 - you can read more about that HERE - and we're keeping our fingers crossed it will all be running smoothly on Thursday. We'll have more sneak peeks for you here & on Facebook tomorrow. 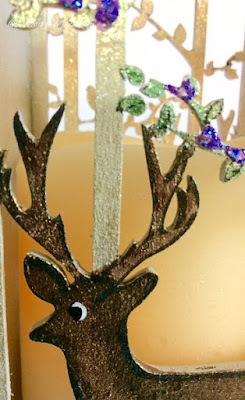 Hello blog visitors, I hope you're having a great weekend. 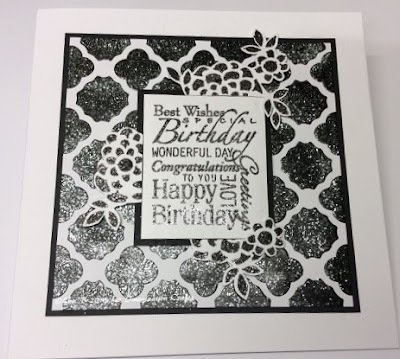 Today on the blog, we start four days of previews, showing sneak peeks of projects that will be on Imagination Crafts' very first shows on the new craft channel, Hochanda.